Pinterest is a great platform to search for ideas and inspiration. Whether you are planning your next party or you are looking for a new tasty recipe to cook for dinner tonight there is something on Pinterest for everyone. 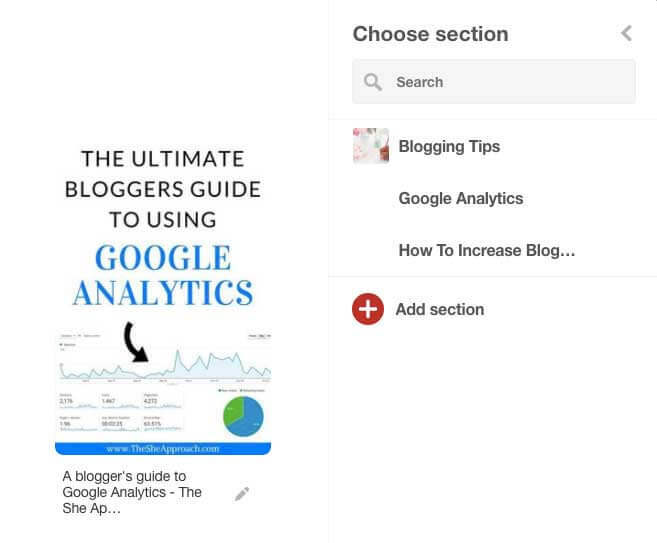 In the case of a Blog Her Way enthusiast you may be looking for tutorials on how to start a blog or once you have a blog how to actually get people to read it. 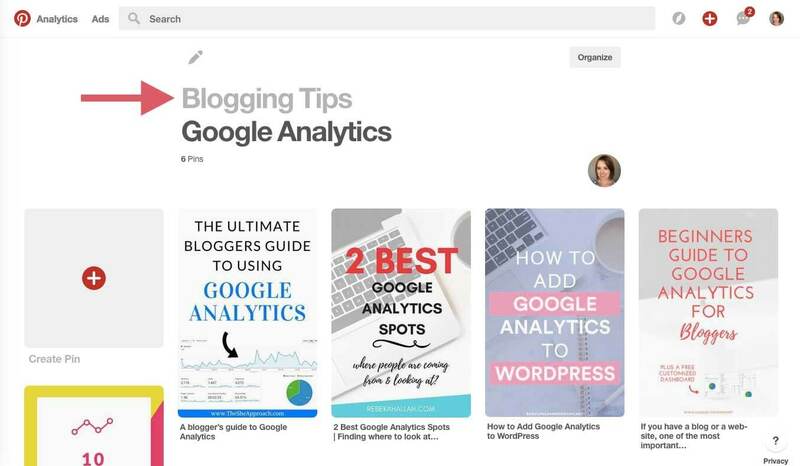 Whatever you are looking for Pinterest has created a system on how to save ideas to boards by topics. 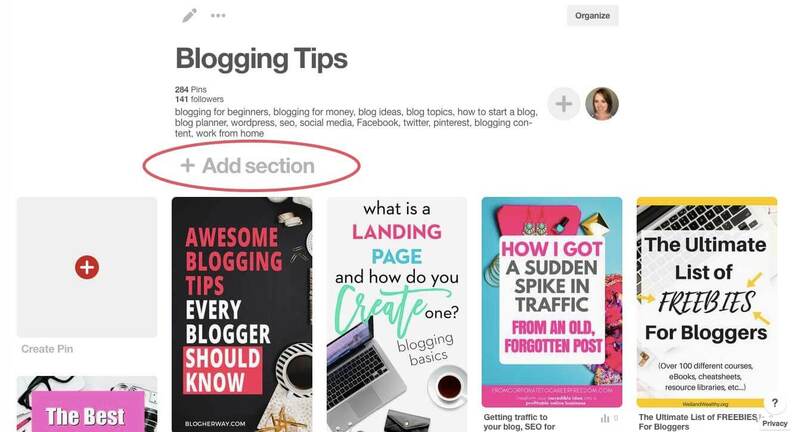 You can now further organize your pins by using Pinterest board sections. 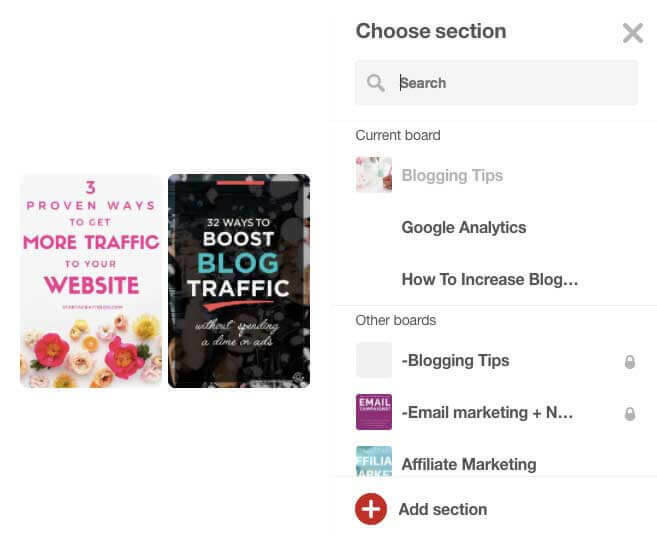 How do Pinterest board sections affect your Pinterest strategy? Let’s get right to the point. 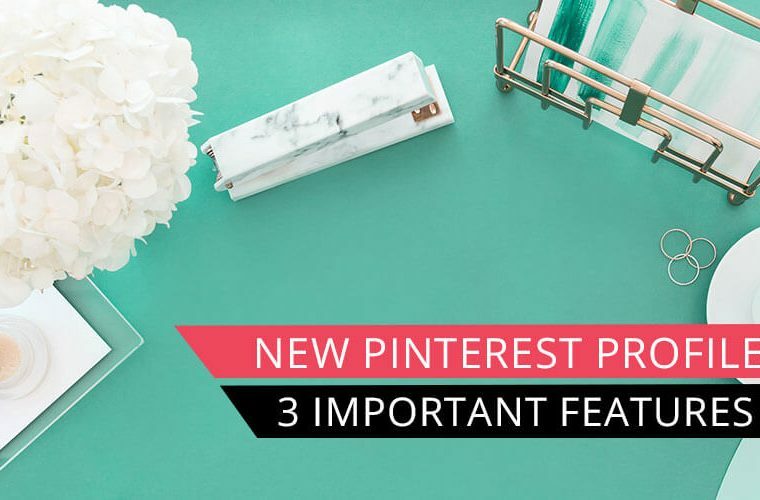 What does this mean for you and how does it affect your Pinterest strategy? 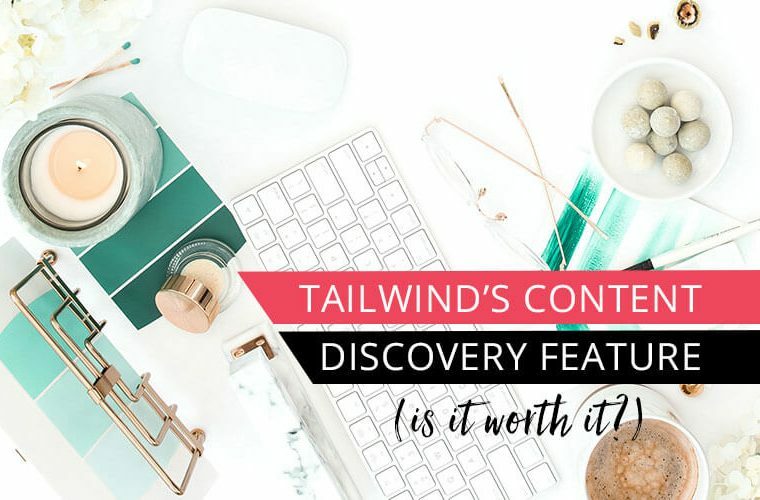 The big question on your mind: Does Pinterest board sections help in search and getting your content found? The short answer is you do not have to rush and spend hours of your time organizing your boards into sections. 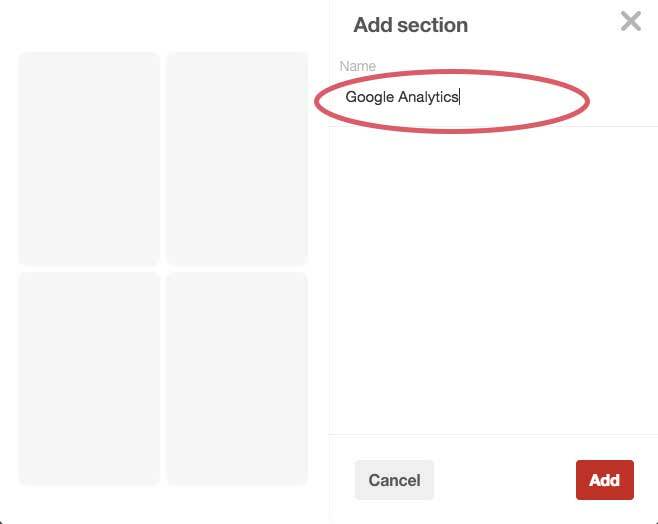 As of now Pinterest board sections do not help with search and it is more of a user driven feature to help organize your boards. I have created sections for some of my boards. However I only use board sections when I am manually pinning. When I schedule my Pinterest using Tailwind it does not offer the option to schedule to board sections at this time. 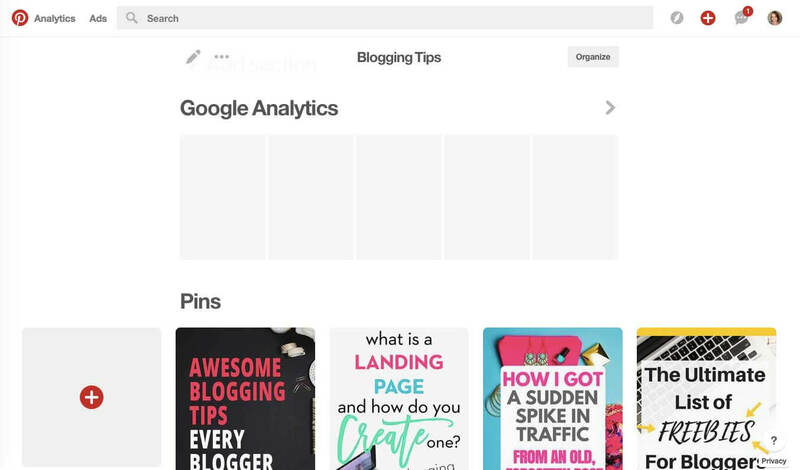 So for me creating sections for all of my boards is not a huge priority until Pinterest changes it’s mind and says that sections will help with search. It is often debated whether manual pinning is better than scheduling. Personally for me it comes down to time and I need to use a scheduler, but if you are interested in manual pinning then this book is a great read. I would like to note here that as of November 2017 Pinterest allowed the use of hashtags. 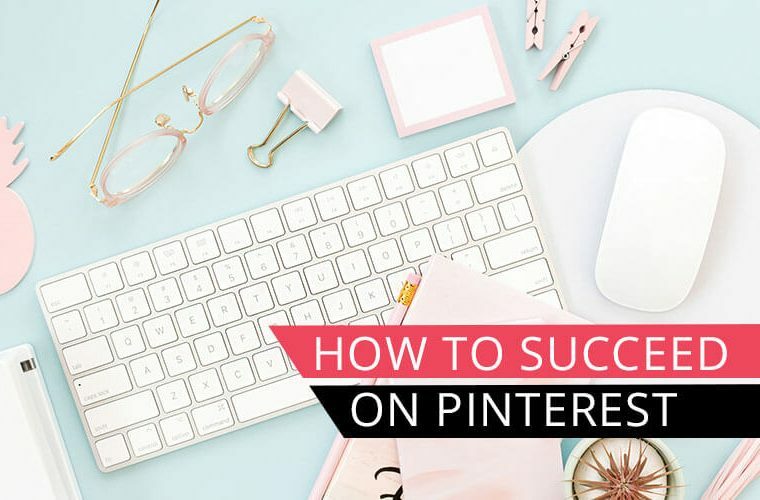 Hashtags offer another way for your content to be found on Pinterest and I definitely recommend that you start using hashtags with your Pinterest strategy. Although you don’t necessarily have to rush out and create Pinterest board sections, do start using hashtags with your pins. You can learn more about how to use hashtags on Pinterest here. Even though you now know that you don’t have to use board sections I encourage you to keep reading to learn what a board section is and how to use it. You may not use it for your business profile at this time, but it is a great organizational feature for your personal profile. 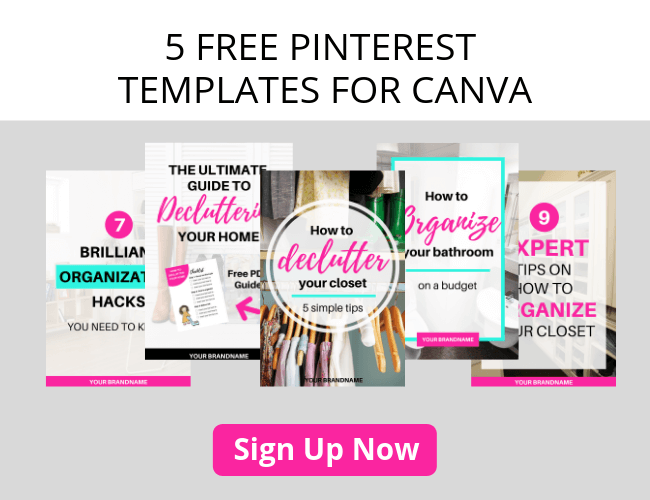 What is a Pinterest board section? When you find a great article you want to come back to and read again you will create a pin by saving an image with the website URL to a board. 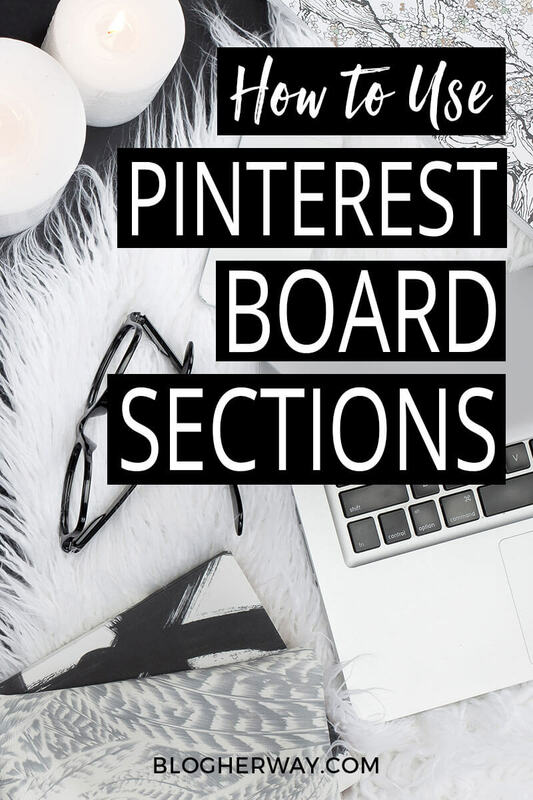 A Pinterest board section allows you to further divide a board into subtopics related to the overall board topic. This way it makes it easier to find your pin later. Go to your Pinterest profile and click on a board. Under the board description you will see a new feature where you can click to add a section to your board. After you click on ADD SECTION a dialogue box will pop up where you can give your new board section a name. Once you have given it a name click to ADD IT to your board. Once a new board section is created in will now appear at the top of the board located above your current pins. When you want to save a new pin to your board section. As usual click the red SAVE button. There now appears an arrow by the board title. 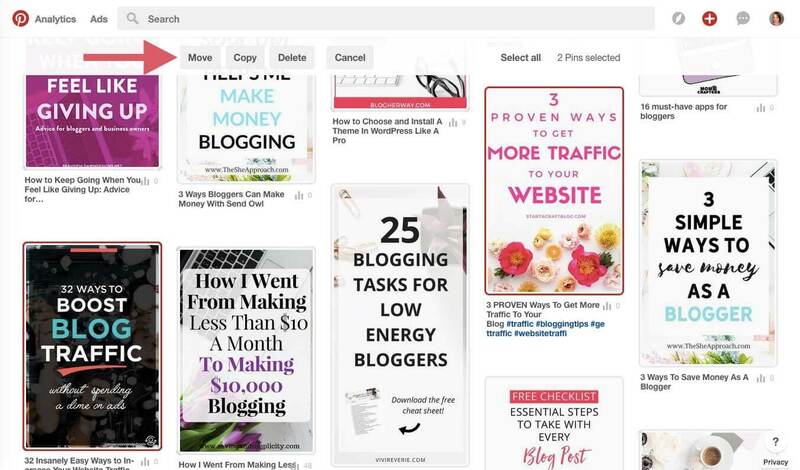 In my case if I click on the arrow by my Pinterest board blogging tips it will show the various board sections I have for the board. With the new board sections feature you can now organize your boards easily. After selecting a board you can click on the Organize button. New options appear at the top including: Move, Copy, Delete, Cancel, and Select All. Once you click on organize you can select more than one pin to either move to a section or a different board, copy to a section or a different board or delete the pin. 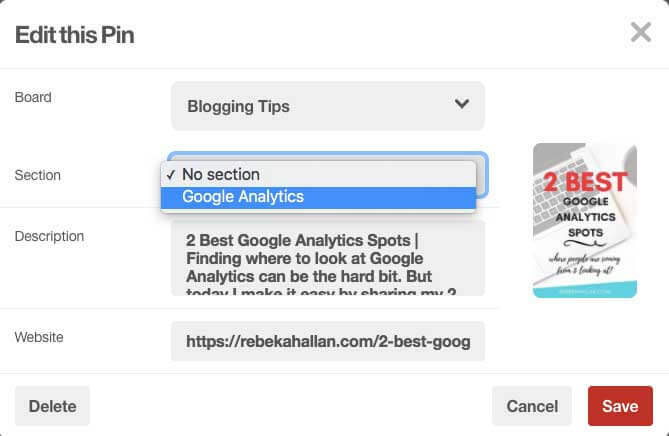 In this example I want to move two of my saved pins into my new board section on How to increase blog traffic. After selecting the pins, click on Move and the dialogue box will appear allowing you to choose your board section or a different board. Instead of clicking on the organize button you can select an individual pin and click on the edit icon. Click on the board section dropdown to choose the board section where you would like to add the new pin. When you click on a new board section from your main board. It will display all of the pins in your board section. 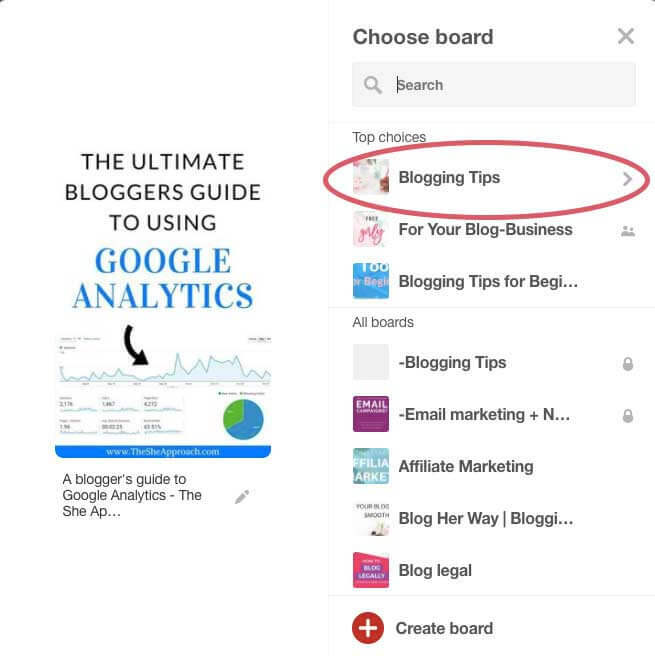 You can easily get back to the main board by clicking on the main board title, which in my case is blogging tips. Now is the time to clean up your Pinterest boards. For each board consider the keywords you are using in your description as possible sections for your board. 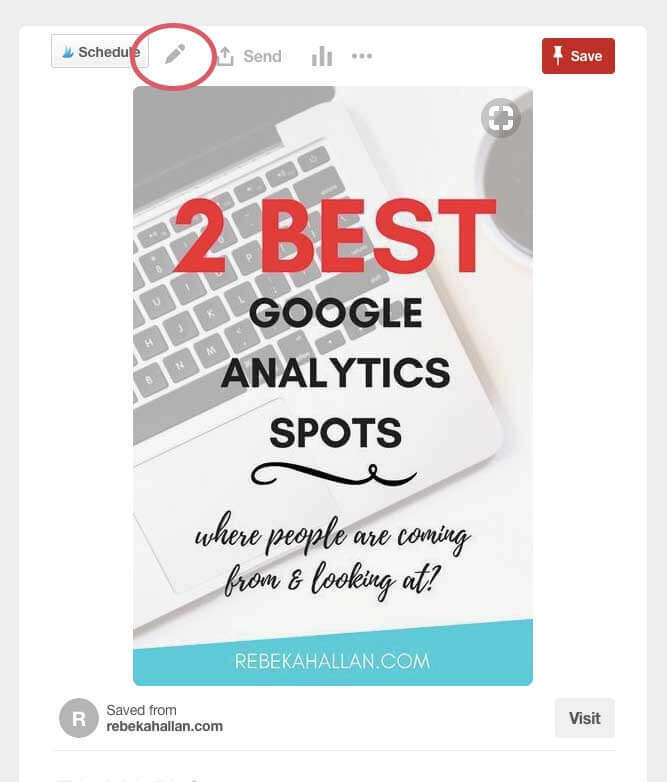 Pinterest board sections are a way to further organize your Pinterest boards to be able to find content again after you have saved it to a board. Don’t forget to Pin and SAVE this post for later on Pinterest. Thanks you. I am working on organizing my boards. Can you tell me if I can search within my boards – say a search within my food board? Yes you can search through your own pins. You can’t search through an individual board, but you can search through your pins. Go to the drop down next to the search bar and select your pins. Hope this helps!